Treat guests to a captivating evening of savory barbecue with this Summer Grilling Gift Box. Add incredible flavor to your meal using our garlic parmesan Buffalo wing sauce or spice it up with our special peppercorn steak rub. 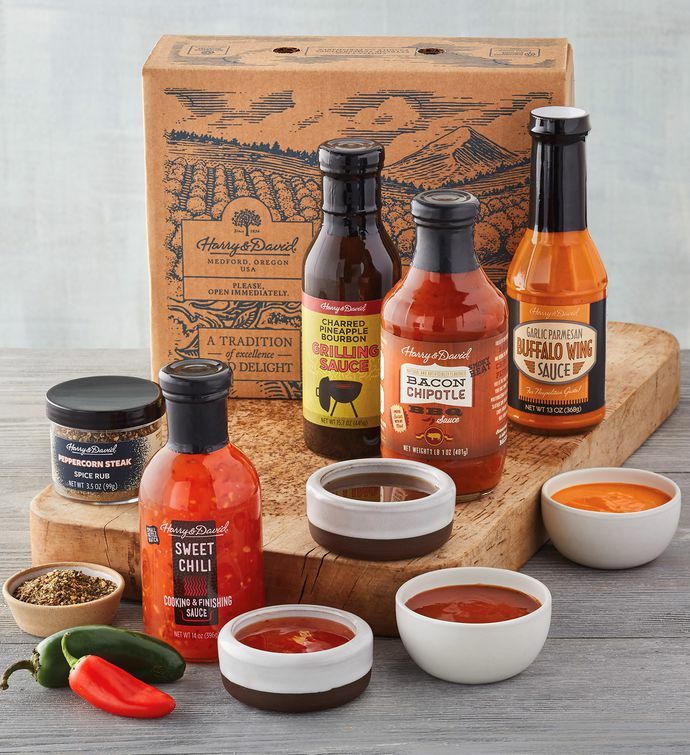 If you're preparing chicken, our charred pineapple bourbon grilling sauce adds the perfect hint of fruit and sweetness, while sweet chili finishing sauce is perfect for taking shrimp kabobs, salmon, and meatballs to the next level. Completing this barbecue gift is our bacon chipotle barbecue sauce, a mixture of two enduring favorites—spicy chipotle and succulent bacon.